Punjab University Journal of Zoology is continuation of old (irregular) series of the publication by the Department of Zoology, University of the Punjab, Lahore. Currently it is 6 monthly Journal covering all aspects of animal and biomedical sciences. The journal replaced the irregular publication “Bulletin of the Department of Zoology (New Series)”, which ceased its publication in 1983. This Bulletin (New Series) was the replacement of “Bulletin of Department of Zoology, First Published in 1931. 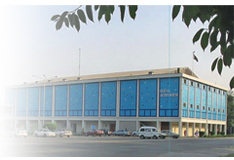 Punjab University Journal of Zoology (Punjab Univ. J. Zool.) publishes articles in English on all aspects of animal life and biomedical sciences like Anatomy, Animal Diversity, Biochemistry, Cell Biology, Developmental Biology, Endocrinology, Entomology, Environmental Biology, Fisheries, Genetics, Microbiology, Molecular Biology, Parasitology, Pathology, Palaeontology, Physiology, Toxicology, Taxonomy and Wildlife.